We offer our customers two convenient locations to better serve you in Ocean City and Avalon, NJ area. In our showrooms you can learn about new and innovative window coverings and more. Operate full-size working displays of blinds, shades, shutters and operating systems including PowerView® Motorization. Browse through our extensive fabric library to find just the right fabric for custom draperies, Roman shades, top treatments and more. We also offer a wide selection of custom upholstery fabrics to bring new life to your favorite couch or chair. We are excited to work with you. Over the years, our family has been building relationships with our customers, not just selling products which is why when they need window treatment or home décor assistance for their second home they call on us! Regardless of whether we meet with you in our showroom or in the comfort of your home, our décor specialist will work with you to learn what is important to you such as light control, décor style, and privacy so that we can narrow down your selections. To assist with your busy schedule, we also offer after-hour appointments. Get started by contacting us today! At The Creative Window Design Center, we are your window treatment motorization experts. We offer affordable motorization options that not only assist with hard-to-reach windows, but also add another layer of security for your family. Motorizing your window treatments can also help protect your home interior from damaging UV rays – even when you aren’t home by programming your window treatments to open and close when you want. Hunter Douglas PowerView® Motorization integrates wirelessly with popular smart-home systems like Amazon Alexa, Google Assistant and more. For over 47 years, The Creative Window Design Center has been serving customers not only in New Jersey but also New York, Delaware, Pennsylvania and South Florida areas. 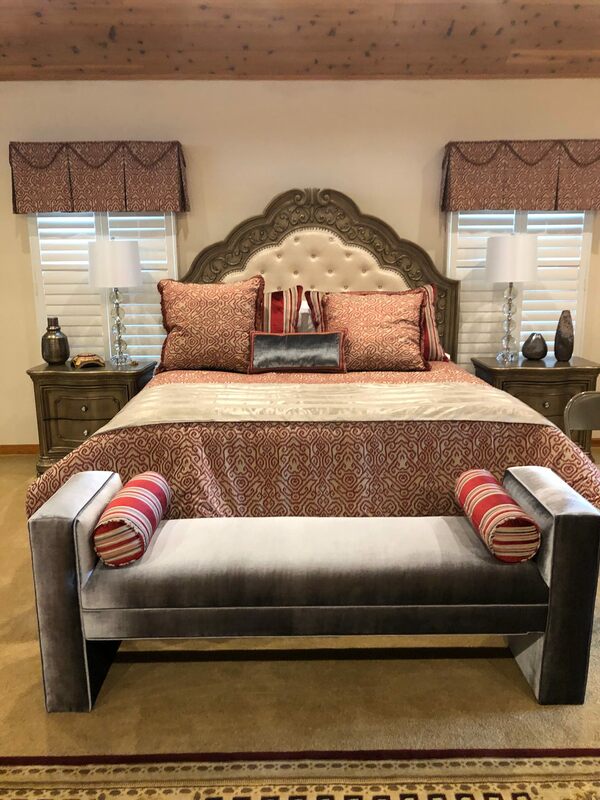 We offer unique and beautiful home accessories including custom furniture, Hunter Douglas custom blinds, shades, and shutters, custom draperies, top treatments, custom bedding, pillows, headboards, furniture and more. Our installers will measure your windows, so you are guaranteed they will fit perfectly. They are master of their craft and their work reflects the high standards we hold for our customers. Meet our A-team...We are a family business. Fran, Howard, Jeff and Lisa Pokrass along with our installers and contractors treat each project with the highest level of integrity and customer service. If you call us we will be there! Explore creative ideas and smart solutions for your windows with our online brochure. It's the ideal introduction to Hunter Douglas window coverings, available at Creative Window. Creative Window offers custom Hunter Douglas sheers shadings, honeycomb shades, shutters, horizontal and vertical blinds, Roman. roller and woven wood shades as well as, custom draperies, top treatments, bedding and furniture. We proudly serve New Jersey cities - Ocean City, Avalon, Sea Isle, Margate, Cape May, Cape May Court House, and Malvern, PA, New York City, NY, Boca Raton & Palm Beach Gardens, FL. Please contact us to learn more.